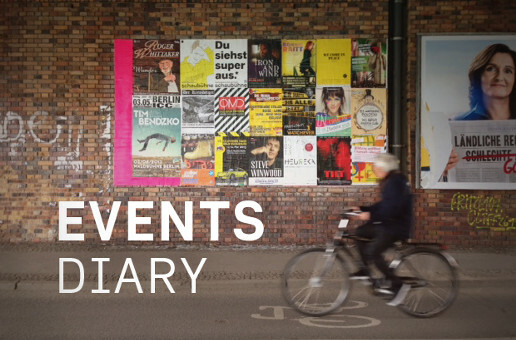 Welcome to the VentureVillage Events Diary – a round-up of the hottest startup events of the week in Berlin. Mark your calendars and, if you’re quick, read on to scoop a free ticket code for 10 tickets to this week’s FridayatSix talkshow. Social Media Week is taking over Berlin for another year, with about 100 events hosted across the capital this September. The free conference will be exploring the problems we face in our social media obsessed society and providing tips on how to best use social networks for your company. From 22 to 27 September, SMW will be held under the motto of (Re)Balance – rethinking traditional structures. The title reflects the conference’s aim this year to reduce gender inequality in the workforce. The Berlin Founders Event, co-organised by the Rude Baguette and Silicon Allee, invites active startup founders to come together and discuss issues, receive feedback and share experiences. The event is open to all founders – if you’re visiting from out of town, this is a great way to get to know the startup scene in Germany. The event is designed to be affordable for bootstrapped startups and includes an open bar and buffet. IBM SmartCamp is an exclusive global programme bringing together entrepreneurs, investors and experienced mentors. SmartCamp provides access to advisors and a direct route to seed and venture capital. Startups with smart solutions can apply to participate in the IBM German SmartCamp event, taking place in Berlin, on the 26th of September 2013. On September 28th. Betahaus Berlin will celebrate innovative ideas and those who work hard to accelerate them. Join for a day packed with awesome ideas, innovative hardware startups and lots of workshops and inspiration talks. The “Something Strange Will Happen” party will not only form the end of the festive event but also say goodbye to the wonderful summer. This Friday it’s again time for some talking at FridayatSix Talkshow – this time about innovation and finance with Marco Lindgens (Norisbank), Guido Sandler (Bergfürst), Konstantin Wolff (Payleven) and Jonas Piela (Avuba). We have a code for 10 of our readers, which will give you free access to the talkshow: Fat6LovesVV. It’s first in, first served! TechCrunch Disrupt is one of the most anticipated technology conferences of the year. This year, on 26 and 27 October, TechCrunch will host a hackathon and, on 28 and 29 October, bring TechCrunch Disrupt to Berlin for the first time to present outstanding startups, influential speakers and special guests in the Arena Berlin.